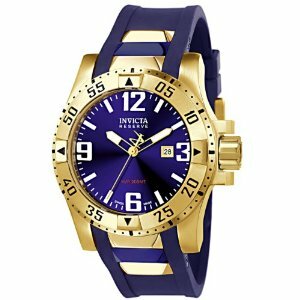 If you’re in the market for a watch that will catch people’s eye, you can’t go wrong with Invicta’s 6524 Reserve collection Excursion Blue Polyurethane watch. It’s bold design and it’s simple functionality make this a watch for someone looking for something a little flashy for a formal occasion or a night out on the town. This watch stands out the first moment you see it. 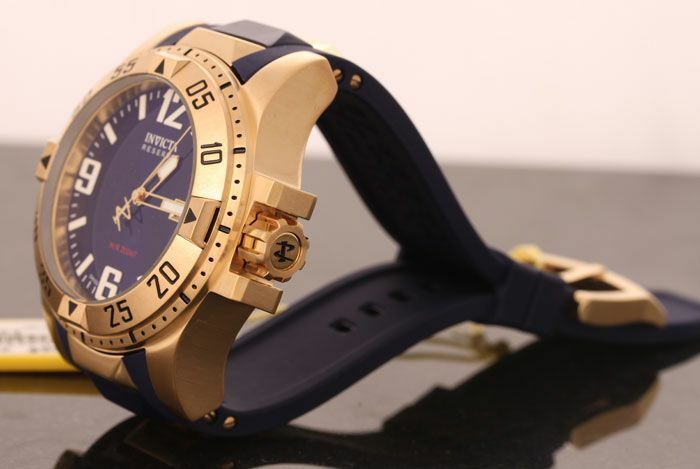 The watch face is a bright blue, which accents nicely with it’s gold case. You can see that the band takes a similar gold and blue coloring which is all very pleasing to the eye. This unique coloring is more or less unobstructed by subdials and the like. The only other function this watch has other than keeping track of the time is keeping track of the date, which is fine for people who only need a watch to keep track of time, though I could see people who want more out of their watch looking for something else. The watch face is unique in it’s color and it’s numerals. The 12, 3, 6, and 9 number are boldfaced and a linear. These usually round numbers look like they have a few corners, which is a nice change from the usual numerals found on most watches. The big thing about this watch is that it’s really eye catching and flashy. While this may please some people, your mileage may vary depending on the type of watch you want. If you’re looking for your standard black strap, black face watch, this is far from it. This flashiness is a bit too much for every day use, which makes it a watch for formal events, or a night out. 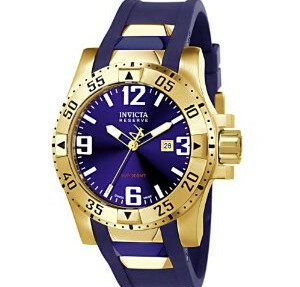 Overall, if you want a great looking watch for those special occasions, Invicta’s 6524 is a good watch for those times where you need something a little more substantial than a regular watch.